These days the semi trucks tend to have a fairly complex braking system. But, as the best truck repair center in San Antonio, nothing is complex for ‘JM Automotive.’ Not to mention that we are also the best Mercedes specialist in San Antonio. This also means that we can easily explain these braking systems to you. This system includes the kind of brakes which get activated with a loss in air pressure. This loss is mostly caused by an emergency like an air leak. The good thing is that it can be handled through the push or pull knob or even manually. However, if you feel like there is something majorly wrong that you cannot handle then going to a truck repair center in San Antonio would be the best decision. As these brakes are used for securing the truck when it is parked, it’s crucial to take care of it. When the truck loses air pressure in an air brake system the emergency brakes are responsible for activating the spring brakes. In vehicles including a modulating valve these brakes can be applied manually. The manual use can be done by the driver by a lever which would slow down the truck. It is important to remember one thing while parking a semi truck with the help of the valve. The level must be in the ‘fully on’ position. It should also be locked with a locking device. To activate the braking system these brakes use pressurized air. They are the most used breaks. The most common type is the S-cam brakes. Less common are wedge brakes and disc brakes. 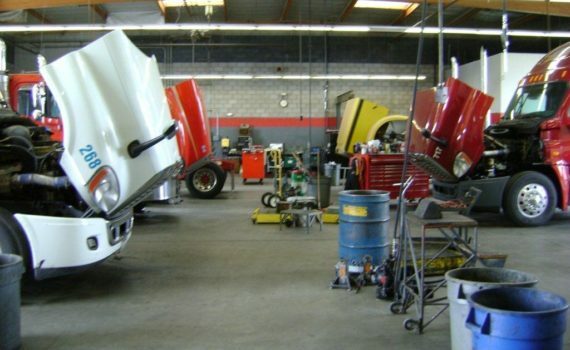 So if you are looking for the best truck repair center in San Antonio or even if you are looking for the best Mercedes specialist in San Antonio, JM Automotive is just a call away. If we can explain it so well, we can definitely repair it. To schedule a visit, call us at 210-646-8979.